This train is the fastest and best day train to travel between Dadar n Madgaon at a relatively cheaper fare. Train runs on time but for a railfan it's a treat to watch 12951 Mumbai Rajdhani overtaking at its MPS between Bharuch-Vadodara. 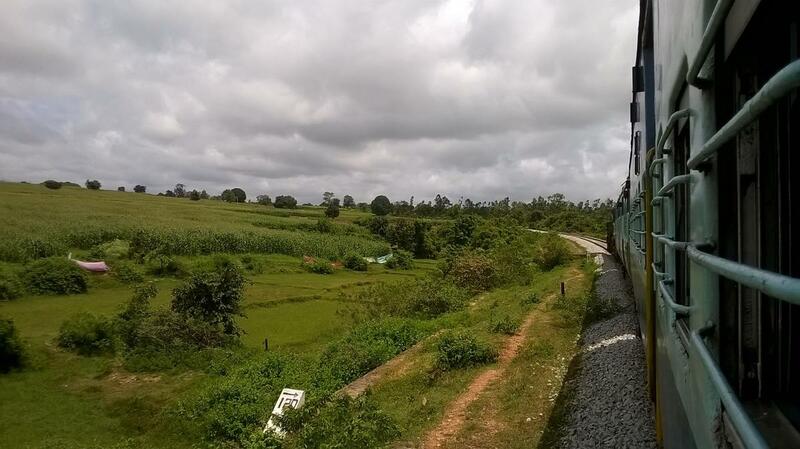 The train route between Shimoga and Talguppa is VERY beautiful, where the train passes through the forest with an occassional village in between. 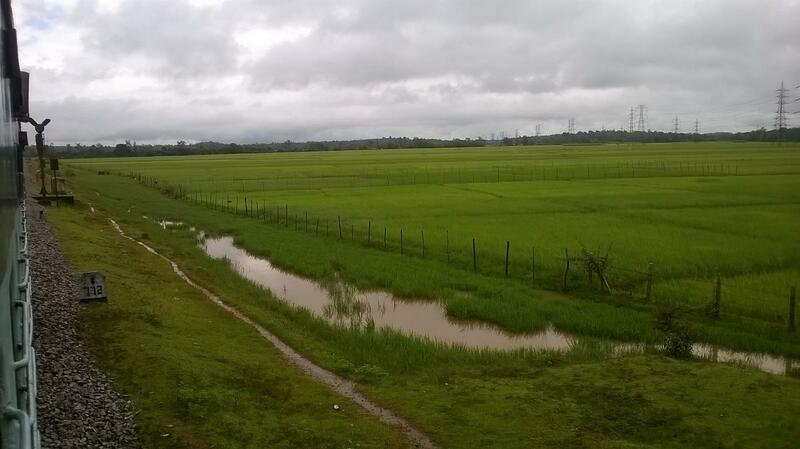 If you take this journey in the monsoon season, even better. Look at the attached pics. 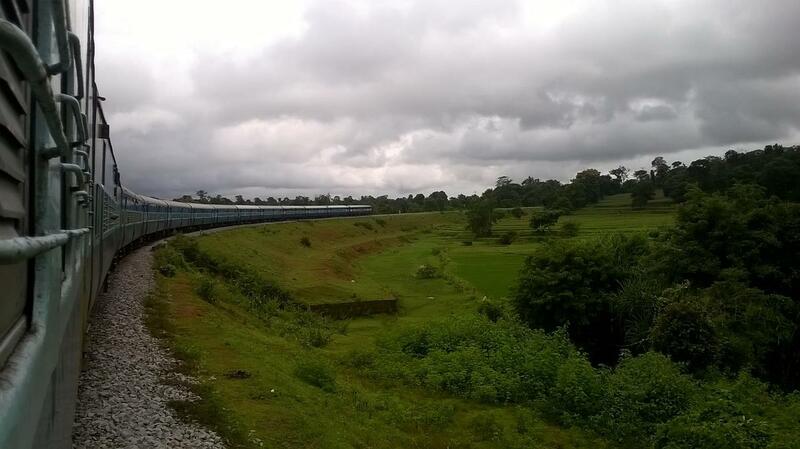 This train runs pretty much empty between Shimoga & Talguppa, so you may get yourself a nice window seat (even in general/unreserved compartment) and enjoy the nature with cool wind on your face. 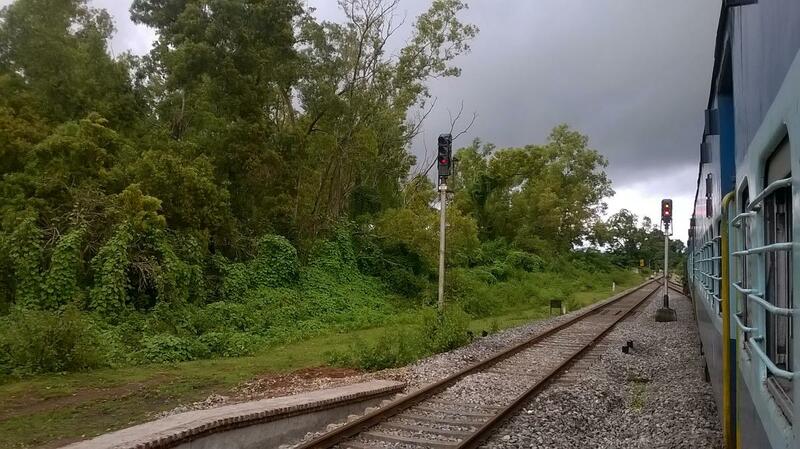 Railfans will have a ball at this train especially if they are sitiing at the right side of the train. In the Up direction you will witness both HWH and SDAH Raj near Panagarh and Durgapur respectively. In the return direction, you will feel the mindblowing speed of HWH raj near DGR and SDAH Raj and DUronto back to back near Khana Jn. Nowadays maintains great speed and even notches up to MPS in DGR-BWN section. 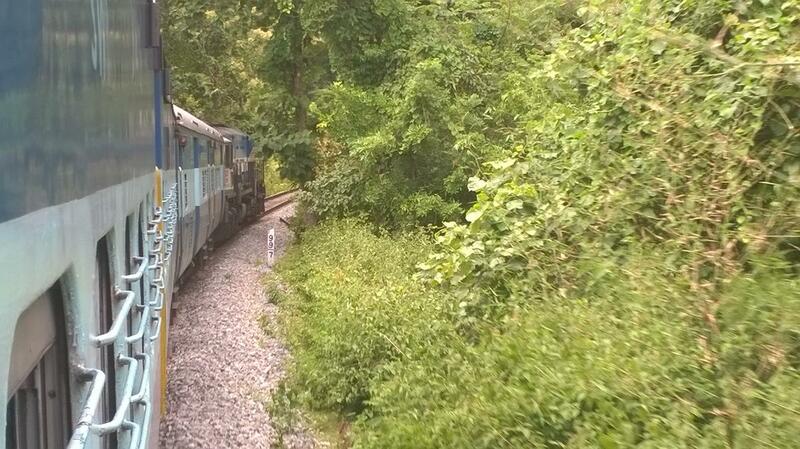 Railfans If travelling in this train till NDLS , then after MTJ reach to the left hand side doors/windows. In this Triple line territory, this train does a parallel run with Legendary Golden Temple Mail (Majority days GT Mail crosses MTJ just 10-15 minutes ahead of AP AC) with continuous overtaking and overtaken by. This is a brilliant sight to watch both these trains doing kind of race for a long duration of time. AC runs on middle track whereas GT runs left farthest most track. But in end, sad news is this AP AC is always given preference to cross through NZM and GT Mail is asked to slow down between TKD and OKA.